If it was not the headline in Philippine Daily Inquirer in 2013 I would not known Kaybiang Tunnel. 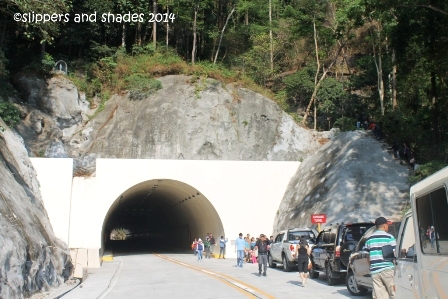 I was hooked reading the article that tackled about the opening of the 300-meter tunnel, part of the 6-kilometer road that connects Ternate to Nasugbu, Batangas. Quite impressive right? Patungan Cove is privately owned and we were so lucky that we had the opportunity to soak up the sun in this resort which is less crowd and teeming with tranquility. 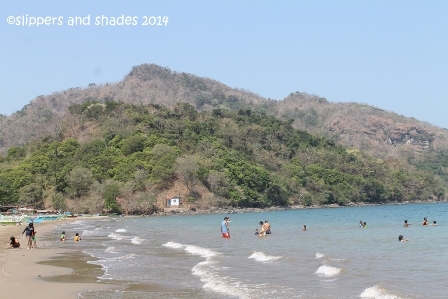 The cove is located in Sta. Mercedes (Patungan) at the farthest end of Maragondon, Cavite.